Had lunch with my good mate and veteran Newcastle ‘Surf Rat’ Ross Bailey the other day. 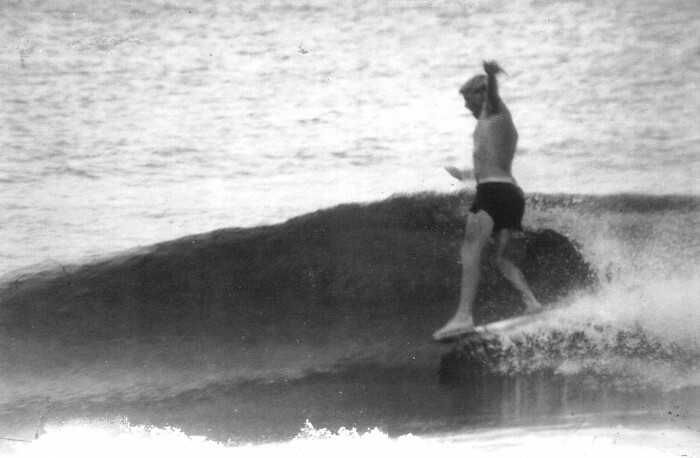 Not surprisingly we talked at length about the early years of malibu surfing north of Sydney and he gave me a handful of photos, including this one of him ‘on the nose’ aboard his brand new striped Gordon Woods 9 foot sixer. 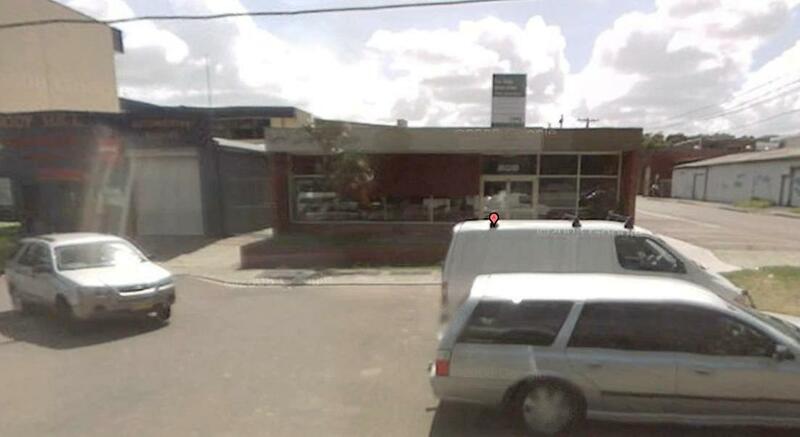 He also gave me an old photo of him in 1963 outside the Gordon Woods factory shop at 208 Harbord Road, Brookvale - that’s Ross Bailey on the right of the door, about to check out the new range. Here’s the Gordon Woods showroom in 1968, with a few of Gordon’s lastest stringerless ‘involvement’ models on show. The image (below) is from the back cover of John Witzig’s Surf International Vol 1 No 1 in 1968 held in a private collection. A few weeks back, John Potter sent me photos of his prized Energy Thruster from 1981. 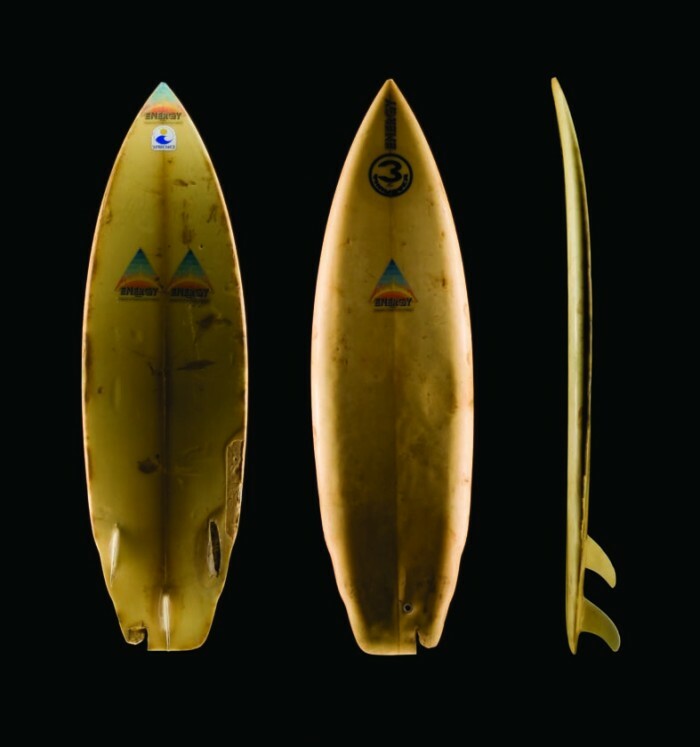 According to John, this board was the very first Thruster to be ordered over the counter, making it the shop’s first Thruster sale and a world first purchase for John. 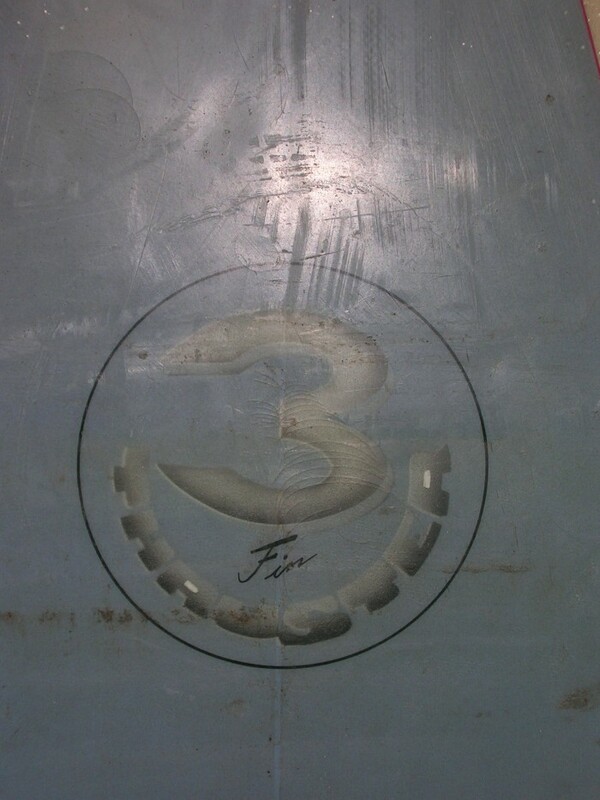 Here’s how John explains it… It happens that I own the first custom “Three Fin Thruster” surfboard made by Simon Anderson, for someone other than himself, which was still very much in its conceptual development phase. 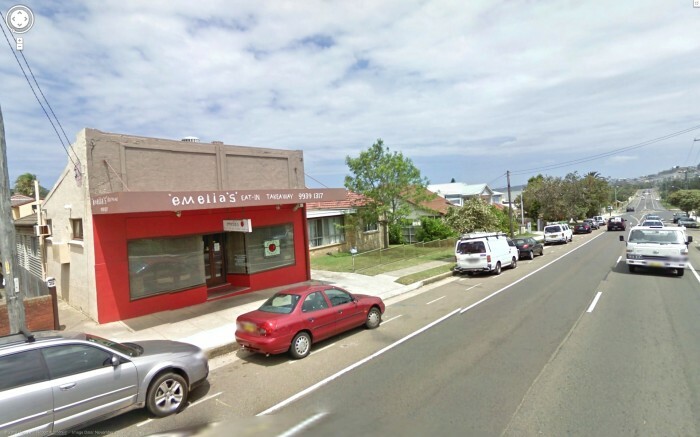 This particular board, when ordered by myself from Energy Surfboards in Waterloo Street, Narrabeen, invoked the naming of this model type. Hence, the regular “Three Fin Thruster” logo was in fact hand painted (ie sprayed) on this board, as the printed decal had not been created. I’ve attached some photos (the whites in the eyes of the characters ‘R’ are the original drops of pigmented resin – hence, no aging). 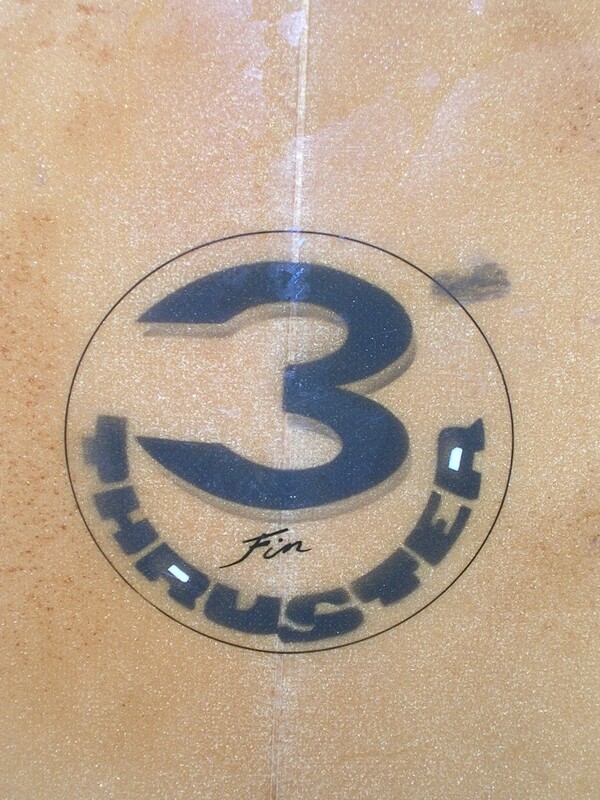 The same spray-stenciled logo, complete with chunky lettering, appeared on the early crop of Thrusters, including this board – Thruster number one – beautifully photographed below by Andrew Kidman for Simon Anderson and Tim Baker’s book Thrust 2011. 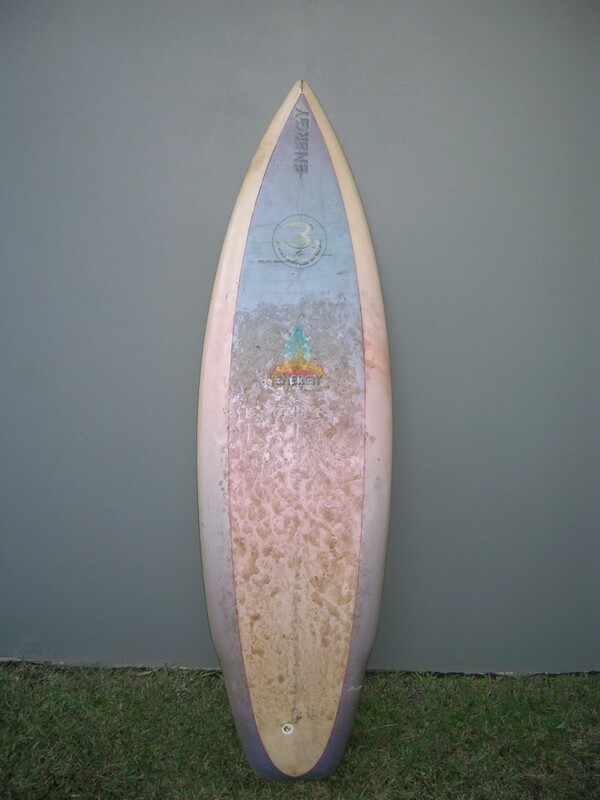 Here’s another early Thruster with the fat-lettered logo, posted on the great boardcollector blog recently. 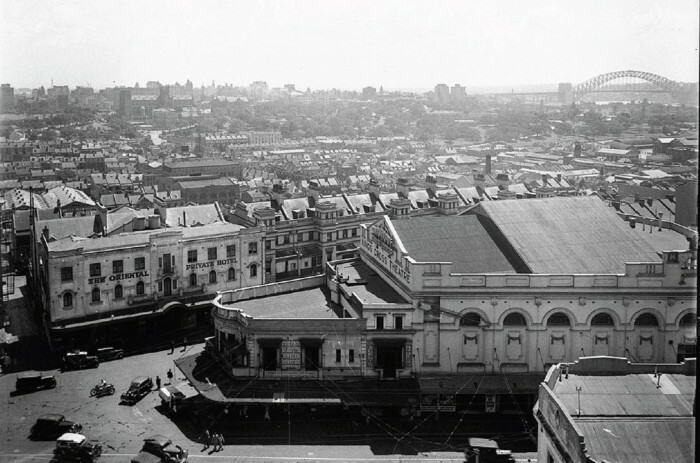 The 1963 conversion of the grubby, shambling Kings Cross Theatre (shown above) on the intersection of Victoria and Darlinghurst Roads into a hip, stomping night club echoed wider cultural wars underway at the time. Not only had television killed off local picture palaces, but the greasy, pale skinned rocker scene of the 50s was swept aside by a new freedom-crazed, sun-loving wave of surfers. And the Surf City ‘sound lounge’ was where they went to stomp - that primal, leaping-about dance to the rumbling wail of surf music. Surf City was alcohol free although pumped with action nonetheless. Stomp-mad teens were kept in order by ushers and barrel chested security goons, known fittingly as beach inspectors. Big local surf-bands like the Atlantics, The Denvermen and the Dave Bridge Trio packed the place well ahead of overseas acts like the Beachboys and Chantays, who also performed at Surf City in early 1964. 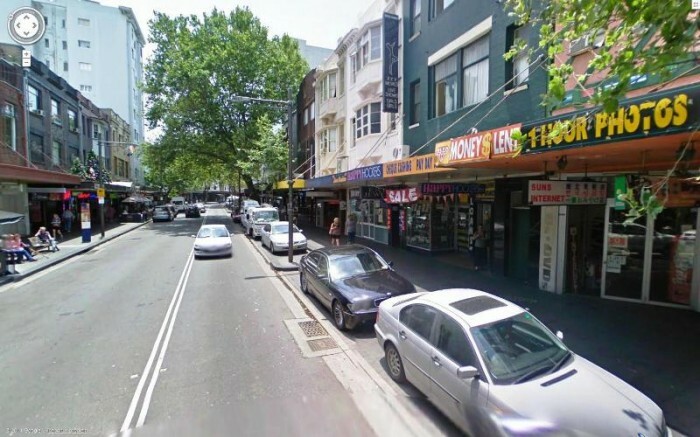 After surf music died in 1964 and the ‘beat’ boom overtook Sydney, according to Milesago, bands like Ray Brown and The Whispers, The Missing Links and Billy Thorpe and the Aztecs did regular gigs at Surf City before its doors closed later in the decade. Steve Core recently told me he did this spacey paint job for Kieth Paull in the late 60s when both of them were working for Peter Clarke. Photo by (and copyright of) Jeff Carter, taken in 1968, around the same time Paull beat Nat Young and Midget Farrelly in the 1968 National titles, held at Long Reef. Just heard that Vern Cooper, who shot that great ‘ockanui’ footage of Allan Levick at Bondi 1957, passed away earlier this month. Sad news although here’s a few words by Allan Levick honouring his old friend … I pay tribute to my very best mate of 60 years, VERN COOPER, for his foresight, in actually “shooting” that footage on Bondi Beach, on his “U-Beaut” 8mm movie camera. 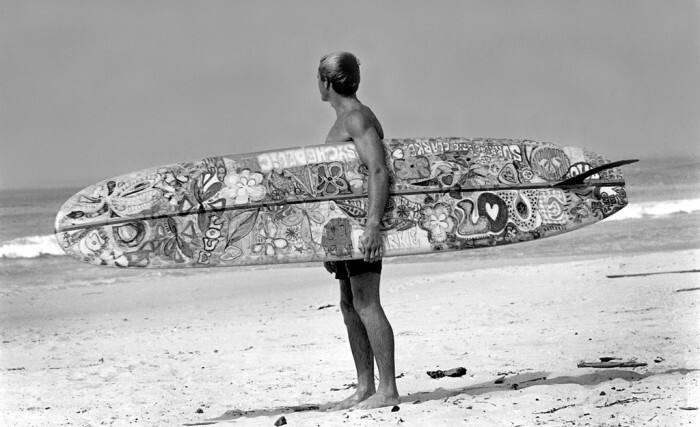 Little did he know that he would be responsible for filling in that little bit of surfing history! Sadly, Vern passed away 10 days ago, but he was fully aware (and proud of) the small part he played in “History”. Kind regards, Allan. Condolences and best wishes to Vern’s family. Russell Lewis in a promotional shoot for Henri Surf Shop, Curl Curl, around 1975, courtesy and copyright of Hugh McLeod. 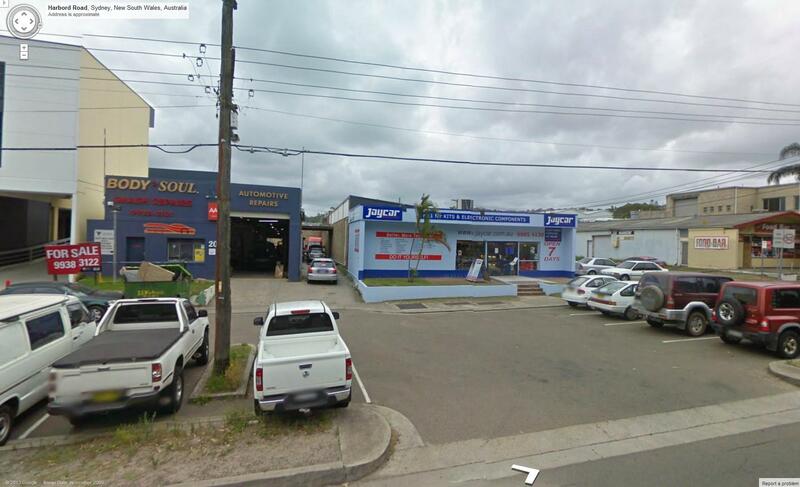 The old Henri shop on Griffith Road, North Curl Curl, is now a restaurant. 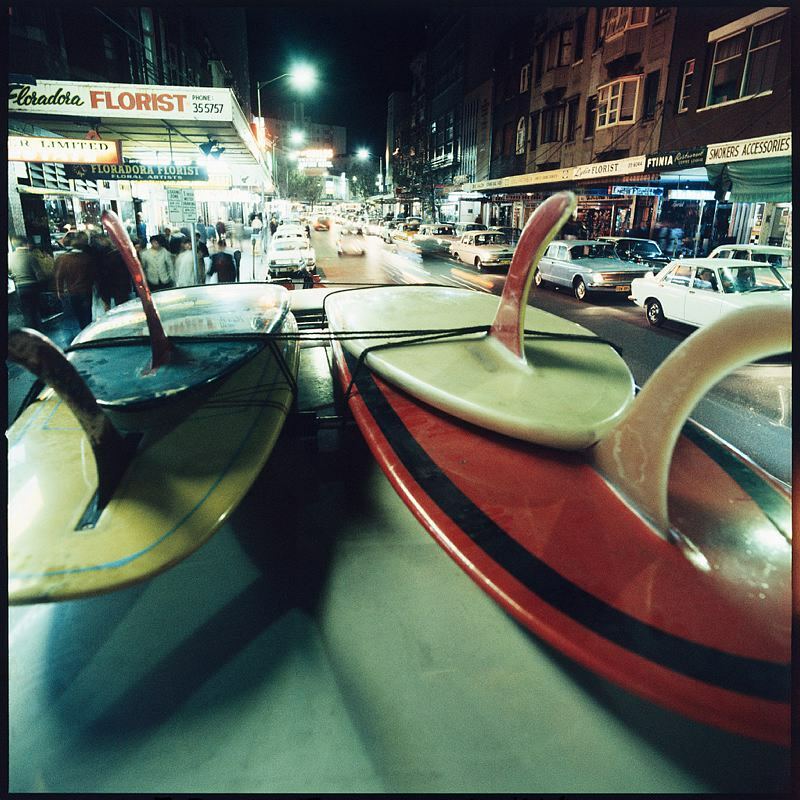 Russell Lewis on Dee Why Point in a Surfing World spread, taken by Hugh McLeod in 1976, courtesy and copyright of Hugh McLeod and Surfing World magazine. 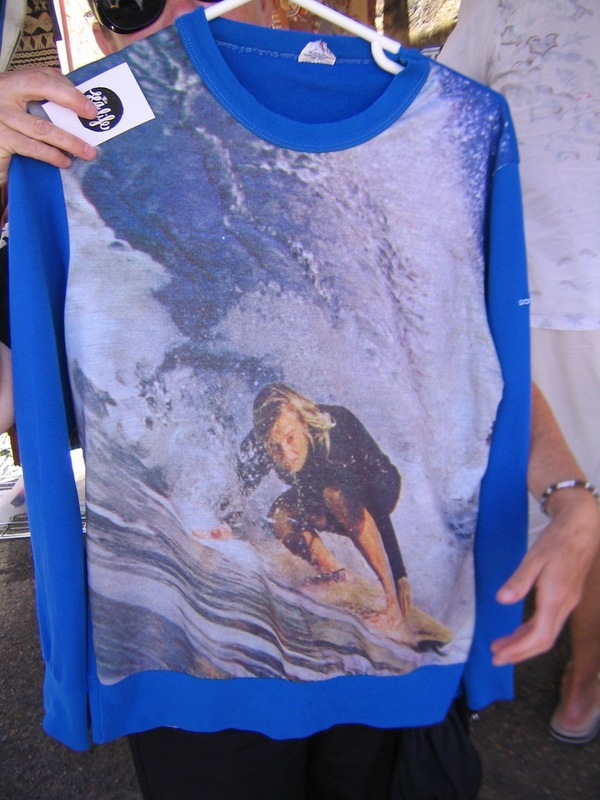 Hugh McLeod shot of Russell Lewis worked into graphic print on ‘sloppy joe’ spotted at Deus Ex Machina surf swap 2009. Russell Lewis with pro surfer and shark attack victim Bethany Hamilton in Hawaii, from the Soul Surfer movie credits. A few months ago I posted a piece on Allan Levick and his hollow mal. Here he is in action at Bondi in 1957. In 1957 Vern Cooper filmed his friend Allan Levick surfing at Bondi on his ‘hollow mal’, built by Gordon Woods. 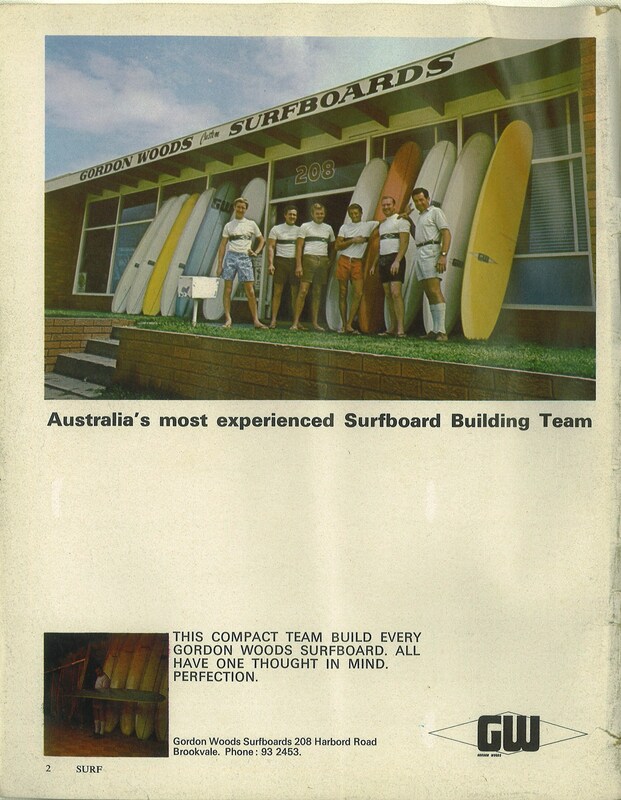 This is extremely rare footage, possibly unique, featuring the Australian hollow mal, which was a plywood adaption of the American ‘malibu’ style board that first appeared in Sydney in 1956. Big thanks to Allan Levick for providing the footage and Dennis Greaves for the digital transfer. Kind thanks to Vern Cooper for making his amazing footage available. 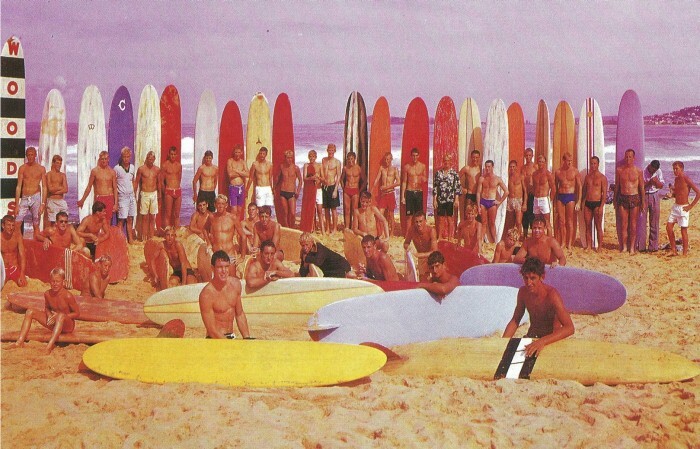 From 1961, Australian surf magazines broke new ground in targeting young readers. Bronte surfer Lee Cross’s The Australian Surfer closely resembled John Severson’s pioneering Californian booklet The Surfer and only released two editions, while Jack Eden’s Surfabout and Bob Evan’s The Surfing World, both launched in 1962, became firmly entrenched in Sydney’s surfing consciousness. 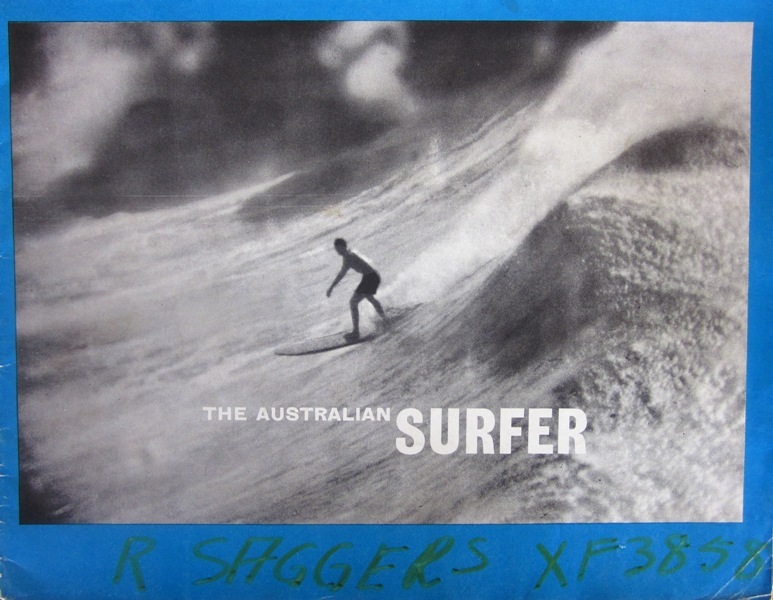 The Australian Surfer, Volume 1, 1961 (courtesy Ron Saggers) took its size, page number and even cover image concept from John Severson’s The Surfer, which started life as a souvenir booklet of black and white movie stills in California the previous year. 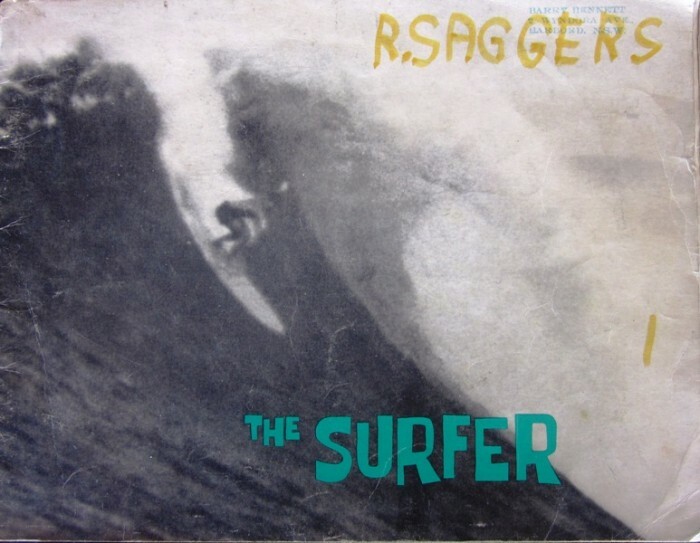 First edition of The Surfer magazine, 1960, courtesy Ron Saggers. 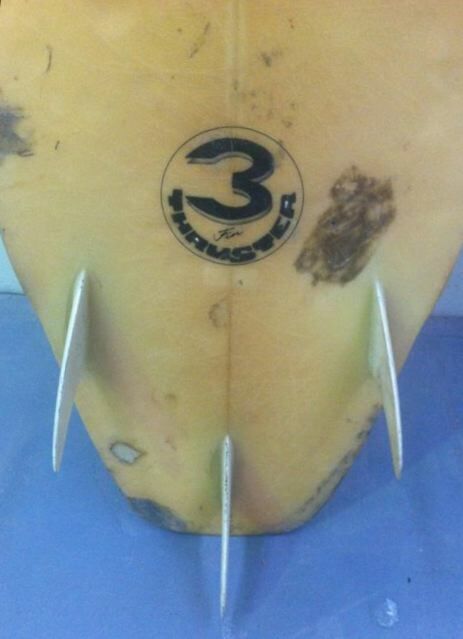 Note the Bennett surfboards stamp at top right. 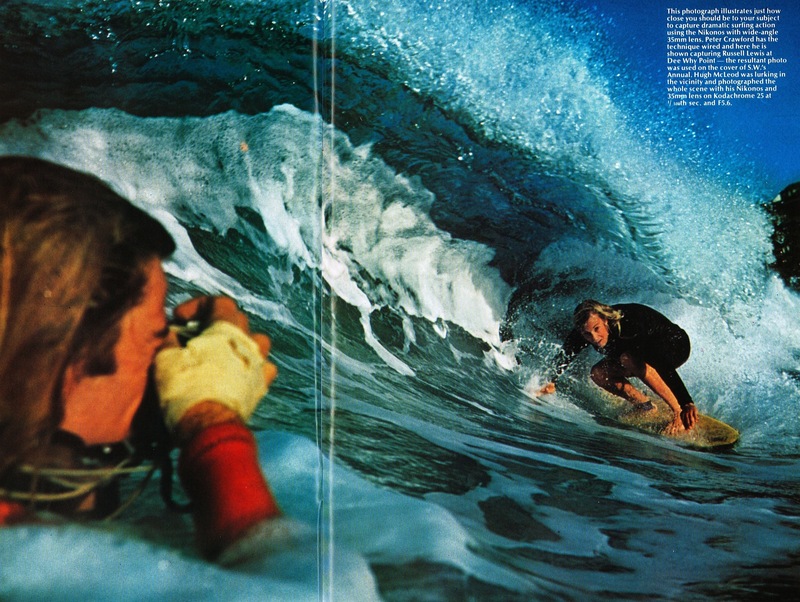 Barry Bennett, along with Ron Saggers’ uncle, the Sydney photographer Ron Perrett, maintained close contact with John Severson for many years. Right from the start, The Surfer was distributed locally through Barry Bennett surfboards.